I seem to be on weekend morning kitchen duty at the moment. 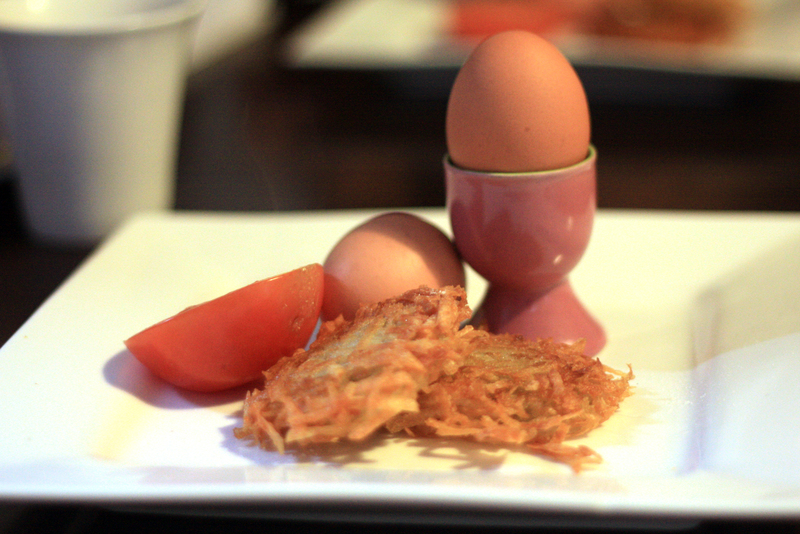 Saturday saw us have home made hash browns, boiled eggs and grilled tomato. For home made hash browns simply grate potato, form into evenly sized piles and drop into very hot sunflower oil, cooking until golden brown.